Four Spanish tourists were killed in a collision with a Florida truck driver in the Florida Keys. Now their families have initiated a wrongful death lawsuit against the company that employed the driver. According to the lawsuit, the truck driver rear-ended the tourist’s car. The force of the momentum pushed the car into oncoming traffic. The women were trying to make a left-hand turn. The truck, which was hauling portable toilets, hit the car from behind. The car spun into oncoming traffic where it was t-boned on the passenger side. The force of the blow was so severe that first responders initially believed there were only three victims. The bodies were so mangled that it wasn’t until later that they realized there was a fourth. The driver had been issued three traffic citations prior to the accident including one for driving without a license. The area, however, is known as one which produces a lot of accidents. The area between mile marker 78 and 80 sees a number of folks who pull over to launch boats and have picnics. After the crash, Monroe County Sheriff Rick Ramsay petitioned Florida Department of Transportation to reduce the speed limit to 45 mph. When is a Company Liable in a Traffic Accident Lawsuit? Typically, when a driver for a company hits, injures, or kills another driver while on the job, the company’s extensive insurance policy manages the payment to the injured party. However, if it can be successfully argued that the company employed the services of an unfit driver then the company can be targeted for punitive damages as well. The claim boils down to negligence. A company has a duty to hire qualified and fit drivers to haul their products. When they fail this standard of care, they are endangering others on the road. If that breach of care causes injuries, then they are liable. 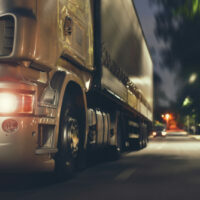 If they knew beforehand that the driver was unfit or potentially dangerous to others on the road then they can be targeted for gross negligence with carries with it the potential for punitive damages. Attorneys for the women’s families have come out to say that the driver’s conduct and the company’s willingness to keep him on the road is tantamount to manslaughter. That is very strong rhetoric. Chances are they will be targeting the company for punitive damages. Will the Company’s Insurance Policy Cover This? While most commercial insurance policies have very large policy limits, it’s unlikely that insurance alone will cover four wrongful deaths and punitive damages. In some instances, punitive damages can void the policy coverage. Either way, it is very likely that the company will be footing a large portion of the bill to settle this claim. Alan Goldfarb P.A. represents those who have been injured in accidents with commercial trucking companies. He and his team can you secure a fair settlement or take your case before a jury if the insurance company plays hardball. Give us a call at (305) 371-3111 or contact us online for a free consultation.